Students will be taught by native chinese tutor from China with a lot of tutoring experiences. Classes will focus on preparing P5/P6 students for PSLE and is customised according to the student's needs. Generally, first lesson will be spent determining student proficiency in chinese before a specific plan is drawn up to prep for PSLE examinations. 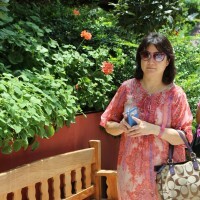 Name of Tutor: Jenny Pan, 50plus years old. Specialising in preparing students for PSLE examinations. All students whom have attended my classes have seen significant improvements in their chinese proficiency levels, be it writing, understanding or speaking.